We Accept most Insurances. If you do not find yours in the list, please call (412) 288-0858. Many of the questions we receive at Everett And Hurite have to do with insurance. One particularly common question is whether or not visiting patients can use general medical insurance, rather than vision insurance, to cover their visit. Wellness vision exams are the standard eye exam that patients undergo annually. These basic vision exams include screenings for eye disease and eye refraction tests (which determine the prescription you’ll need for 20/20 vision if you wear glasses or contacts). Wellness vision exams are often only covered by vision insurance. Medical eye exams are visits scheduled specifically to diagnose and/or treat a medical condition within the eye. These exams are often scheduled as a follow-up to a routine exam, as abnormalities and health issues typically appear in tests during a standard wellness vision exam. Medical eye exams are often covered by medical insurance. While these are the standard rules for vision and medical insurance use at a vision center, some specific health plans may cover additional items than what is listed here. This means that depending on your insurance plan, your medical insurance may actually cover some aspects of your eye care. 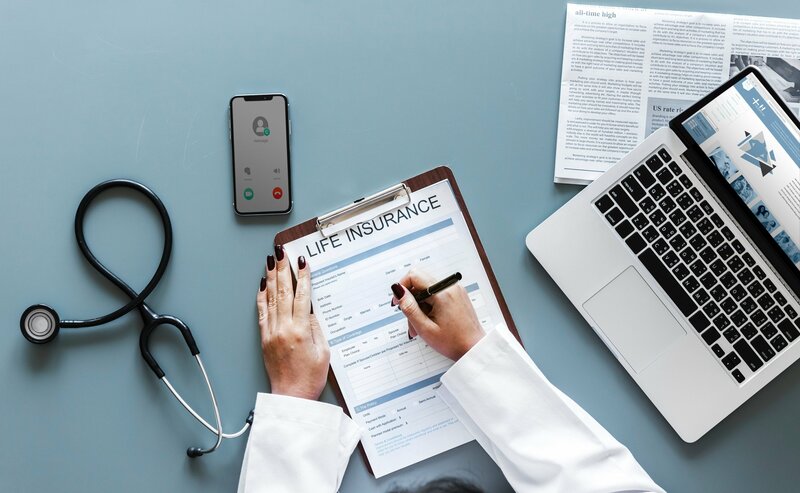 Given the complexities of different health insurance policies, we always recommend that you call your insurance company or speak with your HR department to verify your specific plan’s benefits and coverage before you visit Everett And Hurite. Your insurance company is the best source to answer questions about your coverage. You should also clarify which company or companies cover your vision and medical insurance, as two different companies often cover these insurance policies. Confirming this information before an appointment will avoid any confusion or problems when you come to our offices for your exam. Medicare currently doesn’t cover routine eye exams – sometimes called “eye refractions” – for eyeglasses or contact lenses. Medicare – specifically Medicare Part B – currently does cover certain preventive and diagnostic exams. Test that are covered include yearly eye exams for diabetic retinopathy, glaucoma tests, and macular degeneration tests. It’s important for patients to keep these limitations in mind when they schedule an appointment, particularly if they hope to use Medicare to cover their visit. Because of this, you will need to sign the document entitled "Advance Beneficiary Notice of Noncoverage" (ABN). Additionally, we encourage patients to remember that doctors may sometimes recommend services that are NEVER covered by Medicare or by a patient’s insurance. For these services, it’s important to always ask questions and to communicate with your healthcare provider so that you are not surprised by any bills you receive after the visit or if payment is required at the time of the visit. Finally, because a variety of factors can affect the final cost of a doctor’s visit, we encourage patients who are concerned about the cost of their visit to speak to their insurance providers and doctors about ways they can receive the care they need while also taking steps to reduce the cost of doing so.